Sutton Football Academy�are now offering two GIRLS ONLY football sessions on Wednesday evenings for 5-7 and 8-11 year old girls. 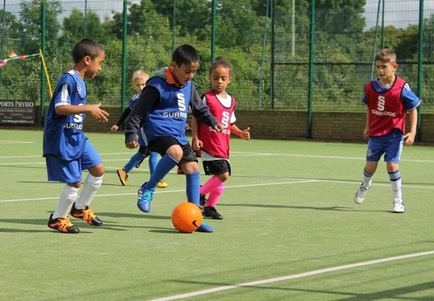 Within the sessions, they will learn brand new football skills and techniques whilst learning how to be more confident on the pitch. They are also offering new MIXED �football sessions for 12 – 15 year olds every Tuesday evening. Within these sessions players will focus on a range of football skills from dribbling, shooting and ball control, heading drills with qualified and dedicated coaches. Tuesday � � � � � � � � � � � � � � � 6.15 pm – 7.15 pm � � � � �12-15 year olds. If you require more information or wish to sign up to one of our football sessions, please contact �Sutton Football Academy�on 020 8641 6611 or suttonsportsvillage@gll.org.